I set out for my regular monthly route inspection this afternoon. All my signs were still up, which was nice to see. 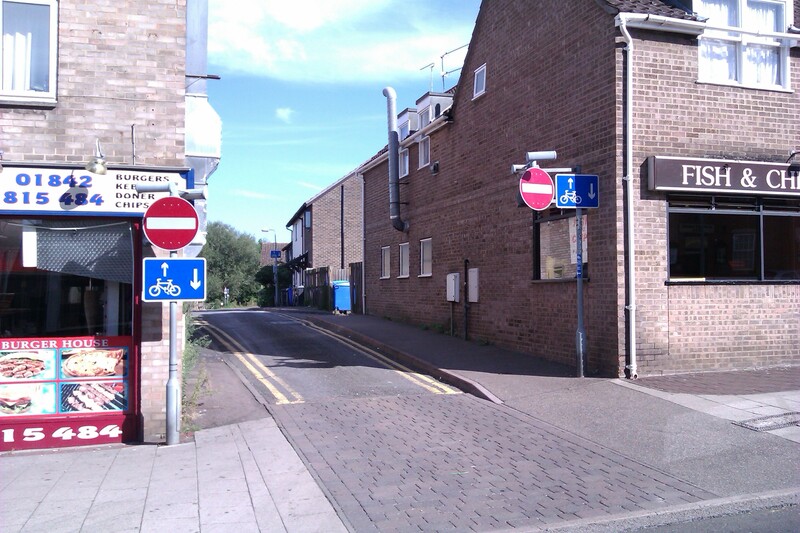 I was also please to see that council has implemented the plan to allow contra-flow cycling in White Hart Street. 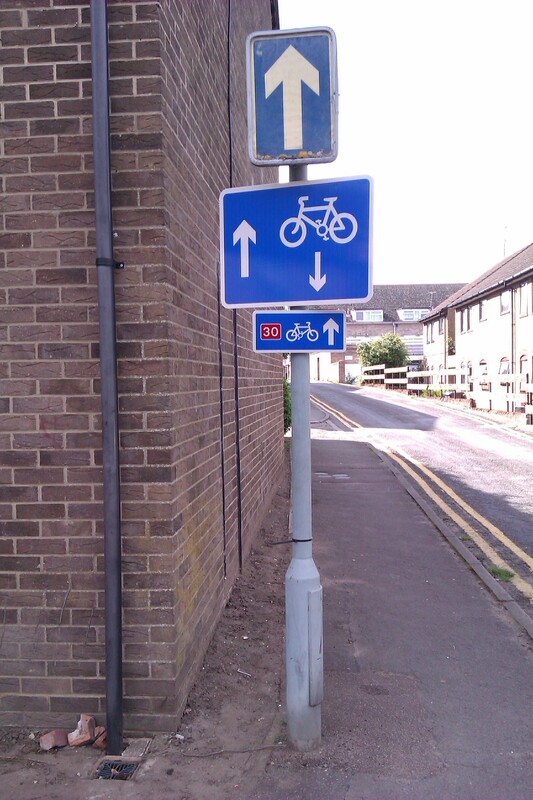 Unfortunately, the contractors who erected the contra-flow cycling signs had also erected to permanent Route 30 signs, showing users where to go after leaving White Hart Street. Unfortunately, the one at the eastern end faced straight into a the wall of a building, so would be useless for anyone heading towards it. 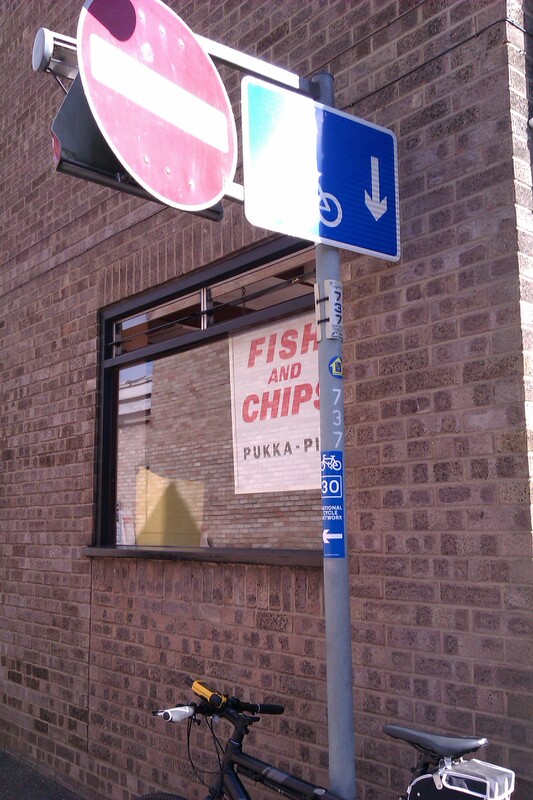 It also duplicated a existing temporary sign at the entrance to Gashouse Drove. At the same time, the new contra-flow cycling sign at that end of the street had obscured the temporary Route 30 sign for cyclists heading west. 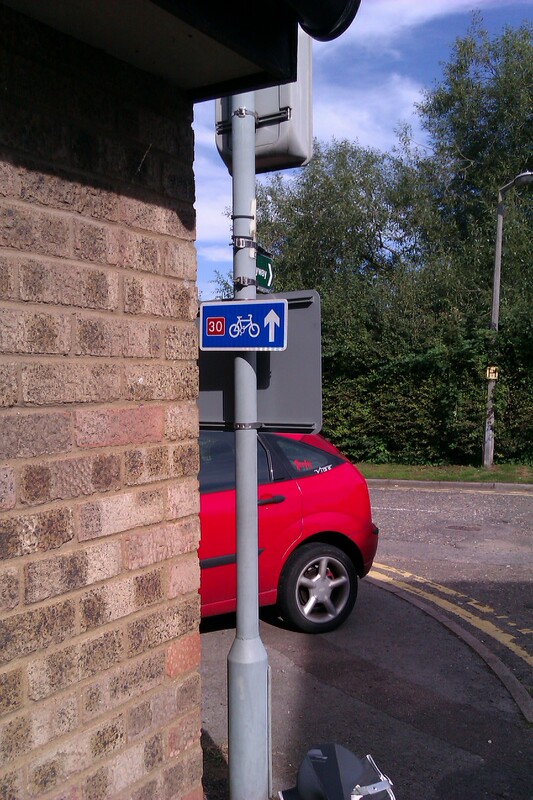 I therefore moved the permanent sign to the other post and turned it to face cyclists heading west. 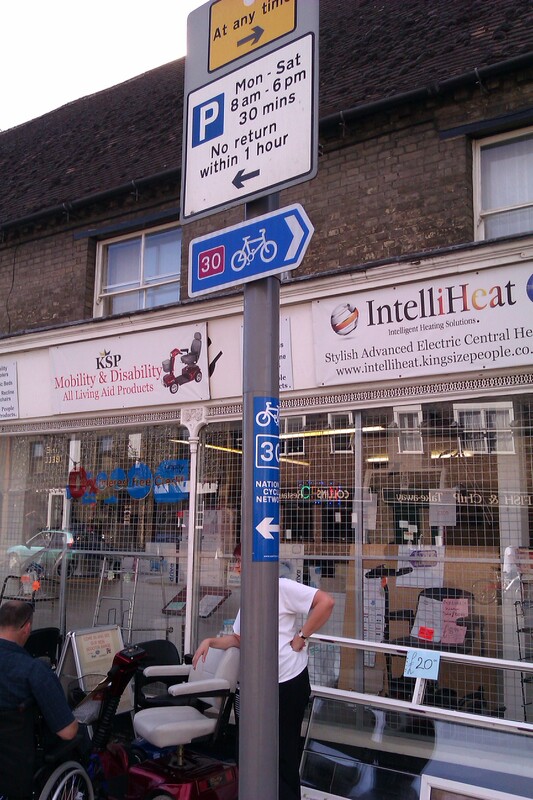 At the western end of White Hart Street, at its junction with High Street, I was able to remove the “Pedestrian” patches at the top of my temporary signs, as cyclists no longer have to dismount when entering White Hart Street.